At the end of last year, the Tow Center for Digital Journalism released its “Guide to Podcasting,” a report researched and prepared by Tow Center fellow Vanessa Quirk. The guide delves into the history of the medium and its current state, outlines different revenue streams and case studies, and discusses various issues and operational philosophies that producers are currently tackling. We caught up with Vanessa to discuss the report, the reactions to it, and the lessons that aspiring podcasters and producers should take away when figuring out how to make their mark on the podcasting map. Below is an edited Q&A from our conversation. From my understanding, the report’s basic aim was to argue and explain why podcasts matter to digital journalism. Was that a hard argument to make? Vanessa Quirk: Not really. Once I started seeing the data and the fact that a podcast is a mobile-first medium, it became pretty self-explanatory, considering that most digital journalism is moving to mobile, and there are some very specific attributes to podcasting that made it kind of really suited to mobile consumption. And so I think because of that — the type of media that it is and the type of engagement that it tends to engender in listeners, I think it was fairly easy to make the case that it is an interesting type of media for digital journalism. I’m curious about reactions to your report. Personally, I feel like much of what was written reinforced other research I’ve seen. But given the different interviews you conducted for this project as well as the data you collected, how much of this do you think was “new” news to different people within the industry, versus a collective wisdom that was already being amassed? Quirk: A lot of it is definitely collective wisdom, but I think what happened is that most people didn’t have an awareness of what was happening in different pockets. There is a little bit of a blindness — like, “What is this company doing versus that company?” And so they might be aware of general themes or general major issues facing podcasting. But the specifics, and how different companies are tackling these issues, that wasn’t very well known. You go into what you call the “Serial” effect fairly early on in the report, and you discuss how few articles have been able to truly justify what is called the “audio renaissance.” Can you go into that a little bit? Quirk: Sure. I call that section the “so-called Serial effect.” What happened is that as media outlets started covering podcasting again after the success of Serial, there was kind of an oversimplification — like, “Podcasting is back,” “We’re in a renaissance.” But there wasn’t really substantive support for that claim. As I was looking at the actual facts and figures, it wasn’t so much that Serial had created this boom and all of the sudden, people were downloading in droves…It was that people who were already listening were listening more. And I think there was an increased awareness of the concept — because that’s been one of the consistent barriers to podcasting’s growth, the understanding of what is a podcast and how to get one. 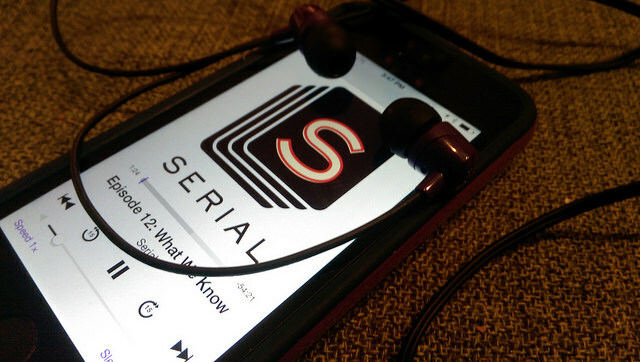 For some people, the awareness of Serial made them more aware of how to get podcasts and what they are. And I think it just had a lot of media attention… And there has been an increase in media outlets entering the space. So those were actual effects related to Serial, but not because of Serial. Yes, and you talk about the improvement in technology and a lot more awareness among consumers. I was wondering, based on your research and the fallout of Serial, do you feel like a certain kind of fetishization of podcasting has arrived? Or would that confuse the fact that right now we’re just in the right time and place, and people ought to jump into the podcasting bandwagon? Quirk: I think it’s tricky. There is this sense that maybe a lot of media outlets that weren’t into podcasting before are thinking, “Oh are we missing out? Should we jump into podcasting too?” And the nice thing about podcasting is that the barrier to entry isn’t huge. It’s not as difficult, for example, as video, to get into. On the other hand — especially if you’re an individual or a smaller media outlet — most of the time, it’s going to be too challenging to actually profit from it, and to make good-quality podcasts…Unless you have a strategic plan going into it and an awareness of the medium and good editors on your team, you aren’t necessarily going to have a good podcast. I think there is going to be a bit of a shakeout, probably, in the future, where people decide to invest in it, and others who probably haven’t put in the time and the research in the first place will probably let podcasting go. Because it’s not so easy to make profit from it. You have to go into it and strategize. And part of the report discusses the different things that podcasting can do for you, which isn’t necessarily profit-oriented directly. But it could do things for you that would generate profit in an indirect way. Are you referring to loyalty and engagement? Quirk: Exactly. I outlined three things that podcasts can do for you, or three approaches that people take when they produce podcasts. I call them “operating philosophies.” So, for example, the premium philosophy is that podcasting offers something extra to your readers. There is a connection with the host, a sense of human contact because you are listening to a voice and you come to know the host. So oftentimes, leveraging the relationship and leveraging the contact inspires consumers to perhaps pay extra, or pay for a subscription — that kind of a thing. Another philosophy is “value added.” It’s basically just improving brand recognition and brand marketing, I guess. For example, BuzzFeed. Their hosts have a very loyal following, and so then their relationship with BuzzFeed is going to potentially be positively impacted — because you’re looking to the podcast, and you have a different way of engaging with them too. And for example, they do a lot of live events now. So you can kind of make profit from that. So you discuss how podcasting should be considered a mobile-first medium. Would you say this is true for all kinds of reporting or storytelling on the radio now, given how we’re consuming the audio? Quirk: I don’t think yet. 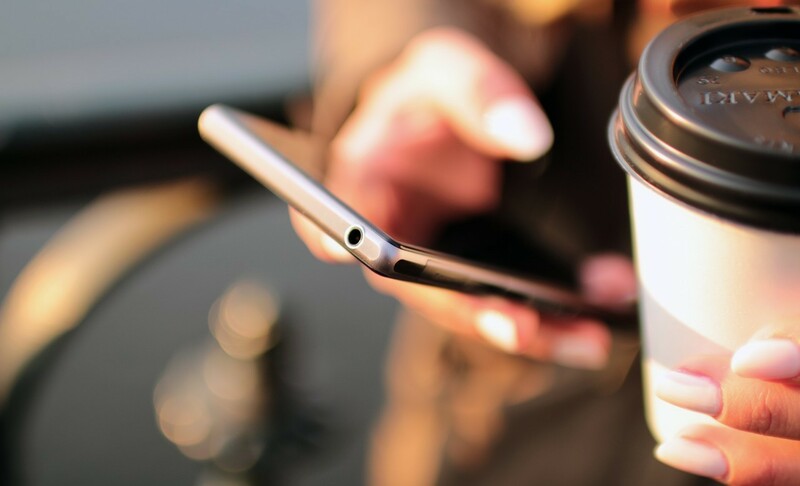 Radio isn’t yet a mobile-first medium. Quirk: Just terrestrial radio, anything that’s aired over the airwaves. And most radio listening happens in cars. And yes, probably in the next ten years, most people are going to have connected cars, and so most people are probably going to switch from listening on the radio and more on podcasts via their smartphones, in their cars. So that’s going to be a major shift. Now, the host’s credibility is a huge thing for listeners and a huge thing for the podcasting community when it comes to advertising. On the plus side, these ads end up being “stickier” because you trust the host. But on the other hand, do you ever see this becoming an issue down the line of journalistic ethics? Quirk: Yeah, and that’s already very much in conversation. I think the easiest or best example of a journalistic outlet grappling with this is Gimlet Media. They have a couple of episodes in their podcast StartUp where they tackle this question. And I think because podcasting is still kind of in its infancy, and the business models for podcasting are still kind of in its infancy, I think people are still working out the lines and the ethics. So there is already a discussion about that, and that’s going to continue being a discussion, especially as branded content and sponsored content become more common. But that’s a very similar conversation to what’s happening in the rest of digital journalism. In some circles, it seems like there is an identity crisis when discussing audio now. Like, it’s about producers versus distributors, or news-driven radio versus storytelling podcasts. What do you think might have to change in order for podcasting and radio to peacefully co-exist, or to not really have this identity crisis anymore? Quirk: Well, as you were saying, a big part of the identity crisis is the role of the distributor. Do you need someone like NPR nowadays? Do you need them to have a successful podcast? I mean, yes and no. They still have a huge audience, and they still reach a lot of people. But you don’t necessarily need them … and that’s a big part of the identity crisis. Why do you need radio, why do you need a podcast, can radio be a podcast all the time? And content-wise, is it exactly the same? I think people are realizing that it is similar, but they’re actually quite different, and the way people listen to radio is actually quite different from podcasting. 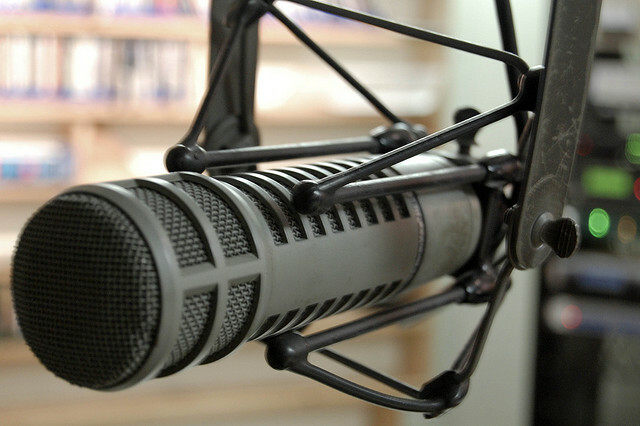 What’s very interesting is that a lot of radio stations are creating podcasting divisions, or are starting to realize that they need to put more emphasis on podcasting. And sometimes it’s literally just a radio show that they’ve put into digital form. But I think there are also some resources going into making podcast-first content. There is definitely the relationship between radio and podcasting. 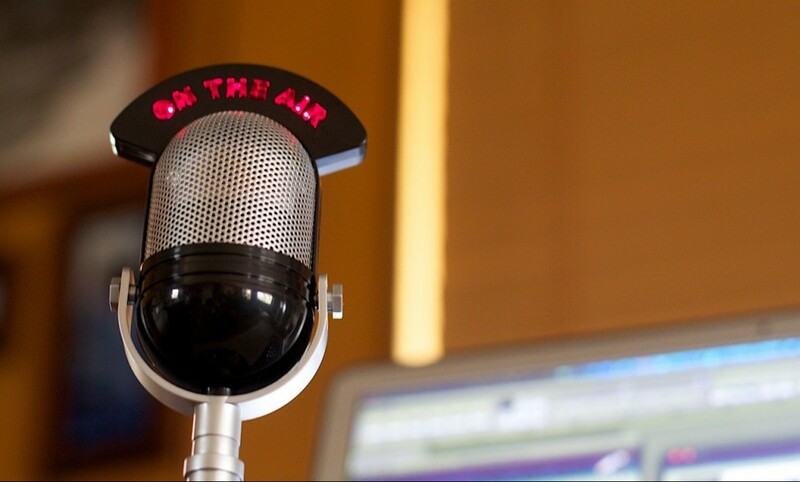 Good radio producers are generally on the ground running when it comes to making podcasts. But there is definitely room for them to be different, and I think that it what is really interesting to podcasting producers. Considering what is going to be the future of the content, and how can we break away from some of the mental limitations that radio has put on it, and perhaps allow the form to become it’s own thing. What kind of mental limitations are you alluding to? Quirk: If you are brought up in public radio, you have certain things that you are taught from the beginning that then becomes second nature. Like, maybe you put on your public radio voice, and the way you structure it is a certain way, and the way you write it is a certain way. Most radio people are very very good at writing clearly and concisely, because they know that when people are listening to the radio, you have to grab their attention all the time, because they might easily drift out. So there is a kind of style to radio and a structure to radio writing that a lot of people have already when it comes to podcasting. Because a lot of stuff in podcasting comes from public radio. And storytelling structures as well are kind of already innate because they’re learned it over time. I think what’s interesting to people is what’s going to happen when people with no radio experience start making podcasts. How will the podcasts be different, how will they be the same, how can they break out of the mold that we didn’t even realize we were placing on the medium? To sum up, what do you think are the biggest barriers to podcasting’s growth right now? And can we guess that certain shakeups might happen, or is there a certain kind of wait-and-see mentality? Quirk: I definitely think that some people are wait and see. Obviously, some people are placing their bets in this space and assuming that it’s going to take off. Now, I do think having enough resources to have a successful podcast and kind of taking the risk that it will pay off — that’s still a big barrier. Right now advertising is doing really well with podcasting. So it’s not a huge risk if you have numbers that are big enough and can easily get advertising sponsorship. But for smaller outlets, a big barrier is that it’s just harder to grow an audience from zero, especially if the space has a lot more competition than it used to have. And there are also technological aspects. Google just announced that it will make it easier for Android users to access podcasts via Google play, and that was a huge problem because Android users didn’t have a very good way for accessing podcasts. And then a lot of people talk about this idea of search and discoverability … But I don’t think it’s that huge a barrier, and naturally, it’s already happening. Like, companies like Spotify and Acast are creating algorithms so that you can tag podcasts — like you can listen to one and be recommended another. I think another huge barrier, though, is the industry standard. The metrics. It’s like reading apples and oranges. And there needs to be the creation of one standard for metrics so that people can people see what they are and compare them. Because I do think there is probably some inflation happening. Quirk: I think an important part of the report is this idea of having control over your audience. And using podcasting as a way to gain direct contact with your audience. And perhaps that’s easier to do via podcasting than other digital media. For example, when PRX did a crowd-funding campaign, they used Kickstarter, and it was a tremendous success. And this year they used a different platform called CommitChange. And the reason why they did that is that via CommitChange, they had access to a database where they could distribute. So now they have a community they can tap into…Versus in Kickstarter, everyone who signs up via Kickstarter belongs to Kickstarter. And that’s an interesting problem facing podcasting. Because there’s even a problem with iTunes — they [the audience] are not yours. So there is a tension there, with having control over your audience versus the platforms that might make it difficult to access them directly. Right….but that’s kind of true too when discussing Facebook being a gatekeeper to news and information. Quirk: Definitely, it’s very similar to that. UPDATE: This post has been updated to clarify that StartUp podcast is a part of Gimlet Media, and that Android users could access podcasts, but not easily. If you were hooked to this Q&A, be sure not to miss this upcoming event sponsored by WNYC and the Tow Center for Digital Journalism,“Why Podcasting Matters.” Vanessa Quirk, along with WNYC’s Paula Szuchman, Gimlet Media’s Matt Lieber, Acast’s Sarah van Mosel, Panoply’s Andy Bowers and PRX’s Kerri Hoffman, will discuss the challenges facing the industry and ideas for fostering creative content and diverse talent. The event takes place Feb. 4 in New York. This piece originally published on February 1, 2016, on MediaShift.